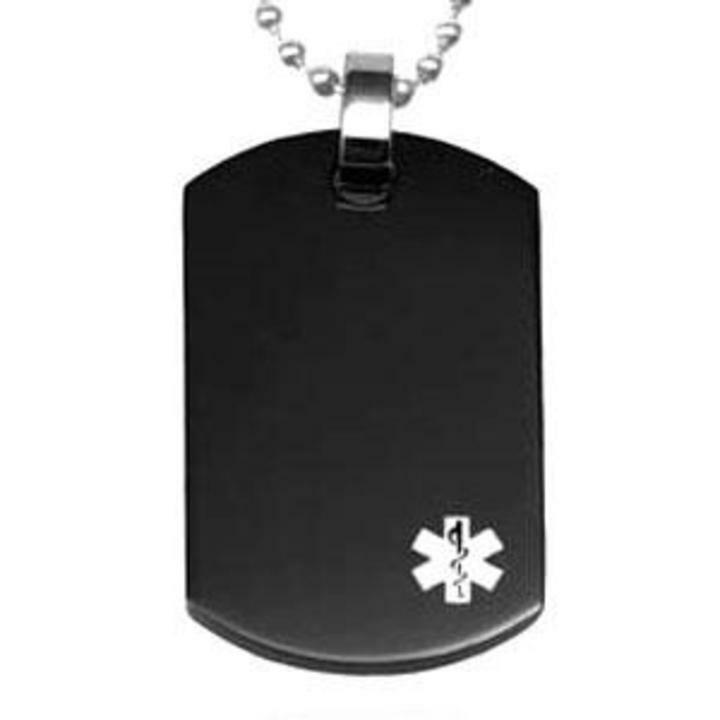 Our black IB plated stainless steel medical id alert dog tag pendant is perfect for those who prefer to wear a medical id necklace instead of a medical bracelet.This hypoallegenic stainless steel medical id pendant is pre-engraved with a white medical symbol and comes with a 30 inch stainless steel bead chain that you can easily cut to the size you need. The medical pendant measures 1 x 1 1/2 inch. It is laser engraved which removes the black plating to create a high-contrast inscription. Custom engraving with up to 6 lines on the front and 7 on the back!